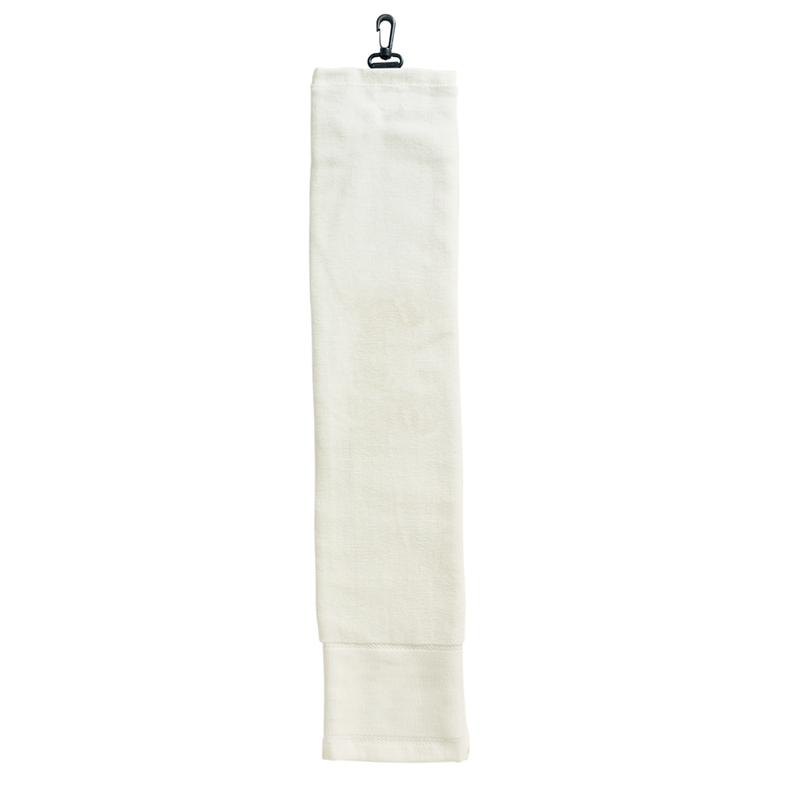 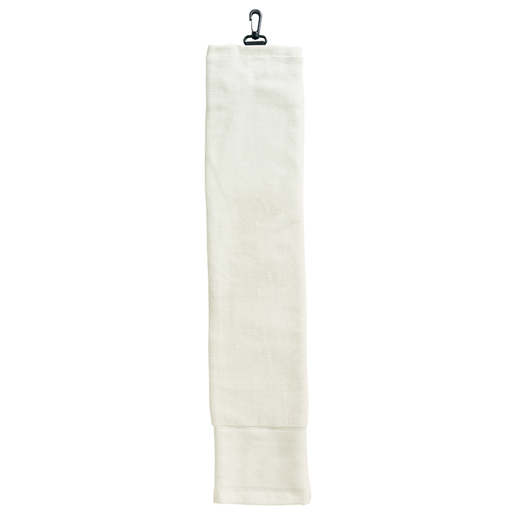 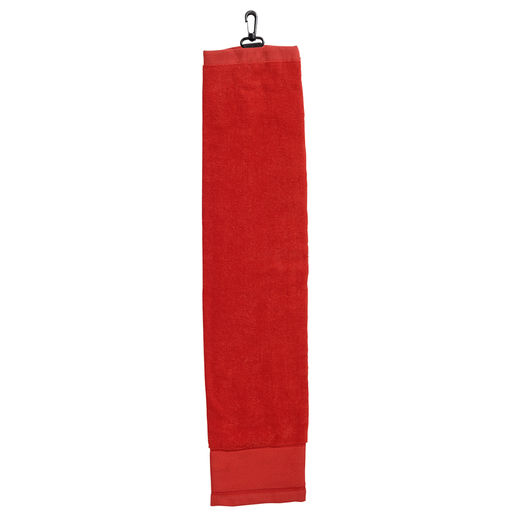 No golfer should be without this lightweight, super absorbent, odour-fighting towel! 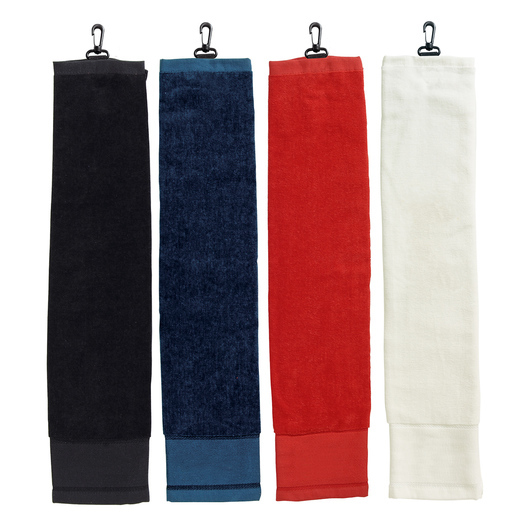 Design is unmatched and will keep you clean and dry all day long. 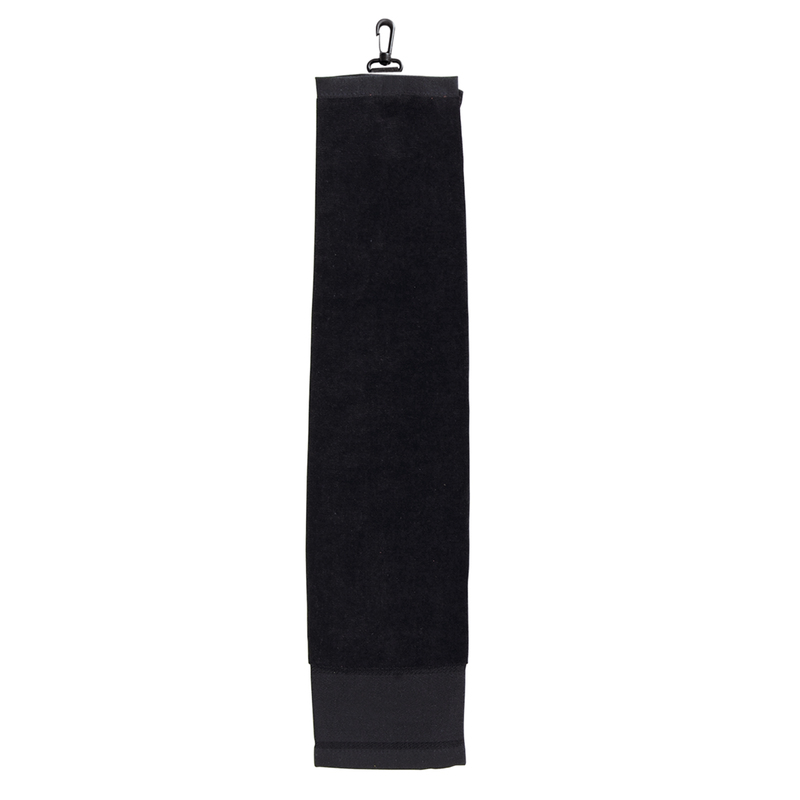 Improve your level of performance with this convenient golf towel. Designed to provide comfort and comes with a hook so you can easily attach it on your bag. Made from 340gsm terry velour with rapier finish. The product features soft pile allowing for all-over embroidery whilst the lower fret area is perfect for screen-printing or transfer application. 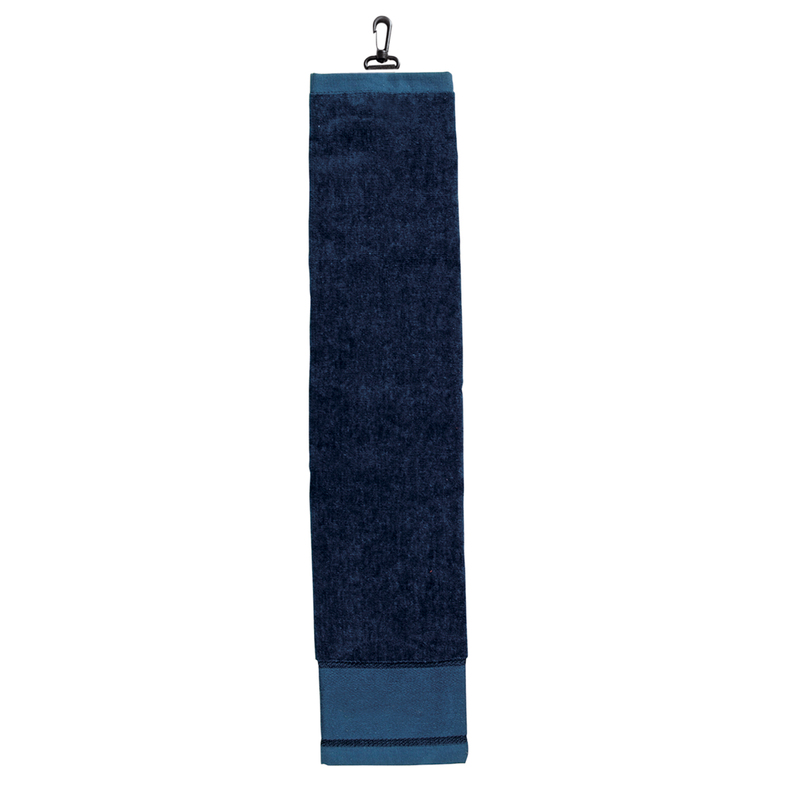 Other features are webbing tab with plastic hook, towel folded into thirds with eyelet in middle, and cotton border on all sides.